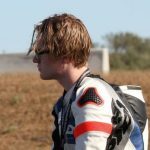 Recently, I underwent the Level 1 Top Rider Advanced Rider Training course, which provided me with training and guidance on techniques and skills to apply to my current street riding as well as various track ventures. 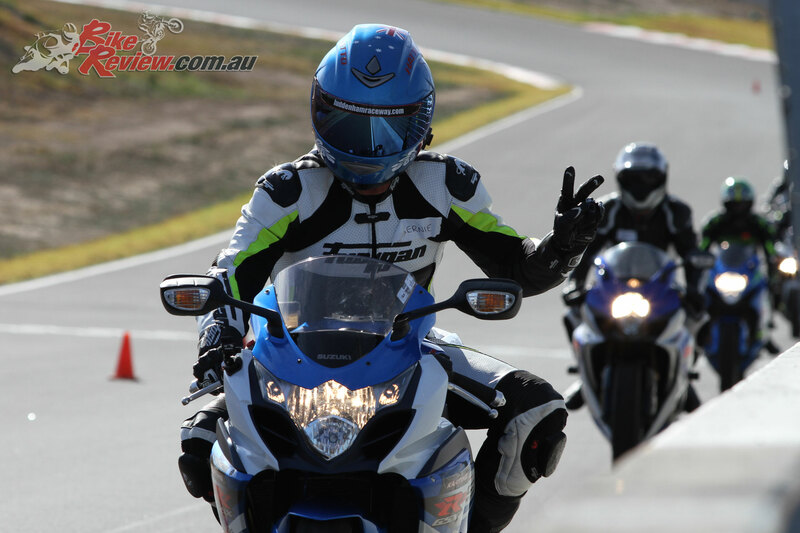 The Top Rider Advanced Rider Training course aims to provide riders with the tools to be better and safer motorcyclists, which can also be applied on track into being faster. Whether it be on or off the track, any rider should be able to take something valuable out of the course. 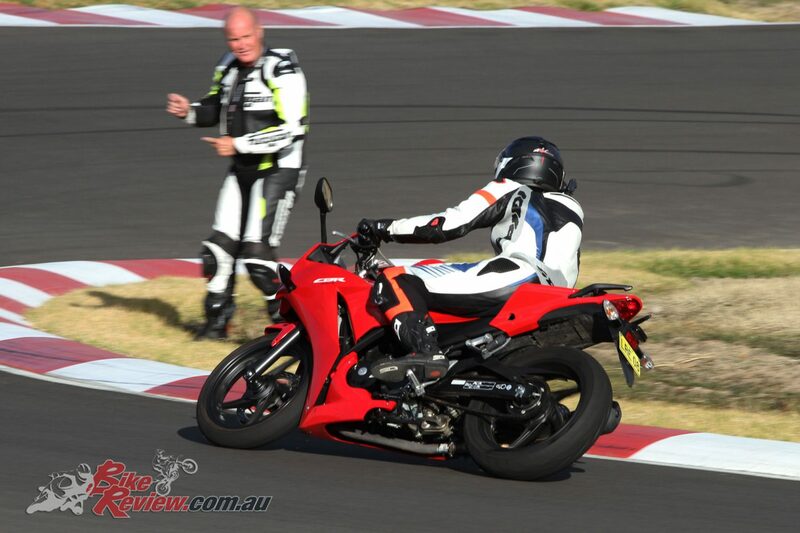 Bernie welcoming Jack to the Top Rider course, held at Luddenham Raceway. Bernie Hatton, Director and Principle Instructor at Top Rider, runs the course, with the help from his team, on this day Melita and Deano. They help teach fundamental riding skills in the first level of training and do a great job at it. 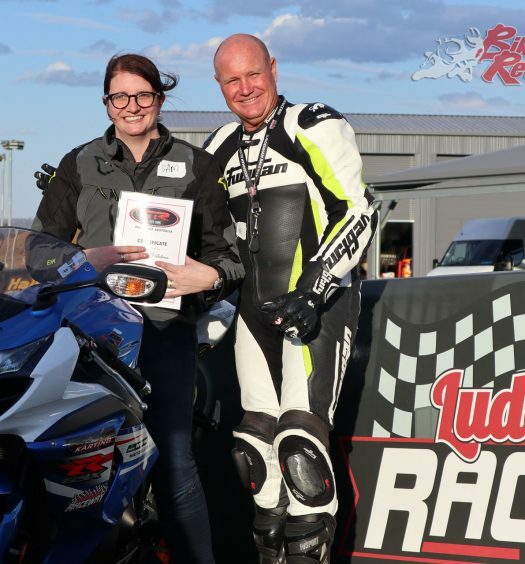 Coming back from a several year hiatus from motorcycling, previously racing flat-track on a dirt bike, and now being completely new to the road motorcycling scene, I was encouraged to take the Top Rider course to develop my skills before venturing onto the road. 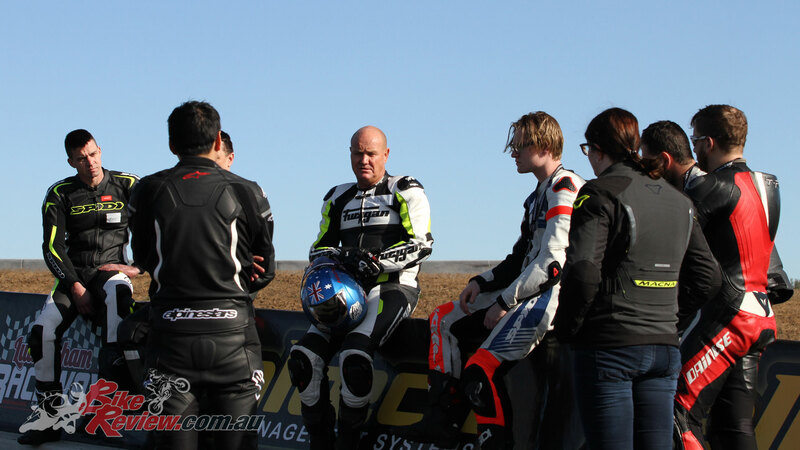 Bernie and his team cater the varying skill levels and riding backgrounds present in each group; which for us was some completely new riders, others transitioning from scooters to motorcycles, and quite a few just wishing to enhance or polish their current riding skills. They shape the course, learning outcomes and pace to best suit the skill level and confidence of each rider, and with the course run in small groups, it allows the team to cater to individual riders efficiently. 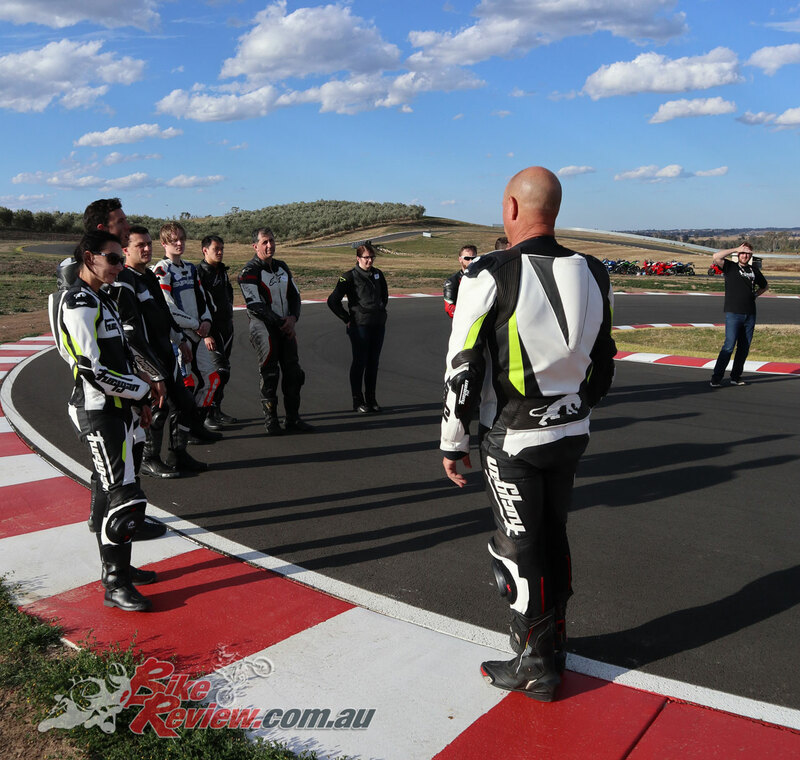 The learning content consists of fundamental riding skills such as braking, cornering, body language and posture in Level 1. These skills are what really make a big difference in your riding, so Bernie ensures that all riders thoroughly understand the concepts and can demonstrate executing them correctly and safely. 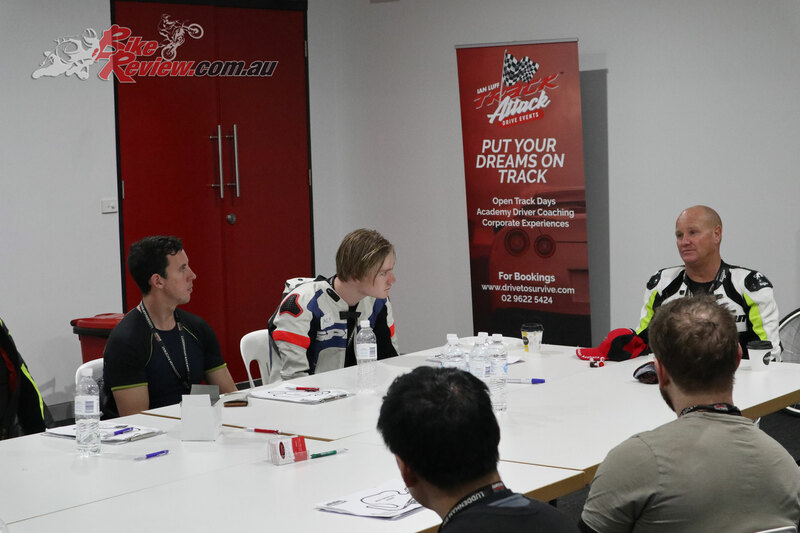 Learning content is first introduced to riders in the classroom, with Bernie explaining a concept such as braking, followed up with an on track demonstration, as well as a display of poor habits or technique for the same activity. This means riders can better understand the theory and know how to execute the skills correctly, as well as recognise what not to do. 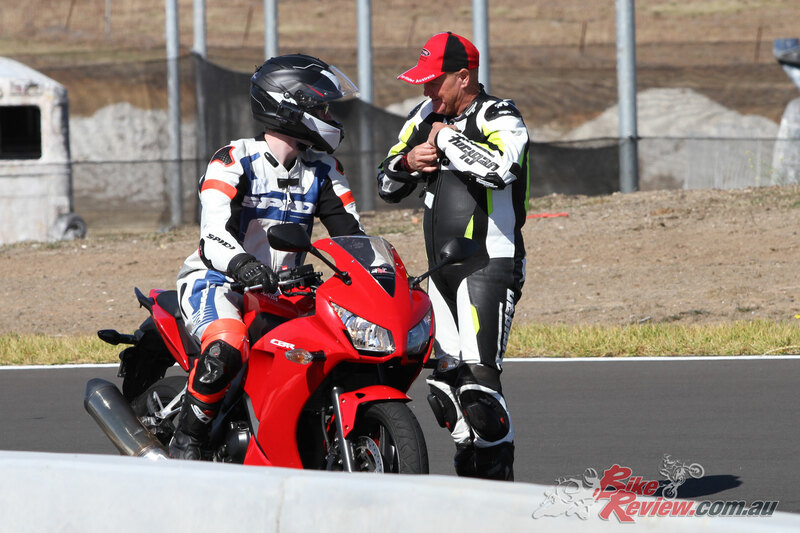 Following the demonstration, riders will complete various exercises and practice the skills taught out on the track, as a practical application of what’s been taught. Feedback is given after each run and with each run, the rider is encouraged to push their boundaries in a safe and controlled manner. Bernie demonstrating some more advanced skills! The braking exercise is the first we undertook, using a range of braking techniques, such as front brake only, rear brake only, and both brakes simultaneously. 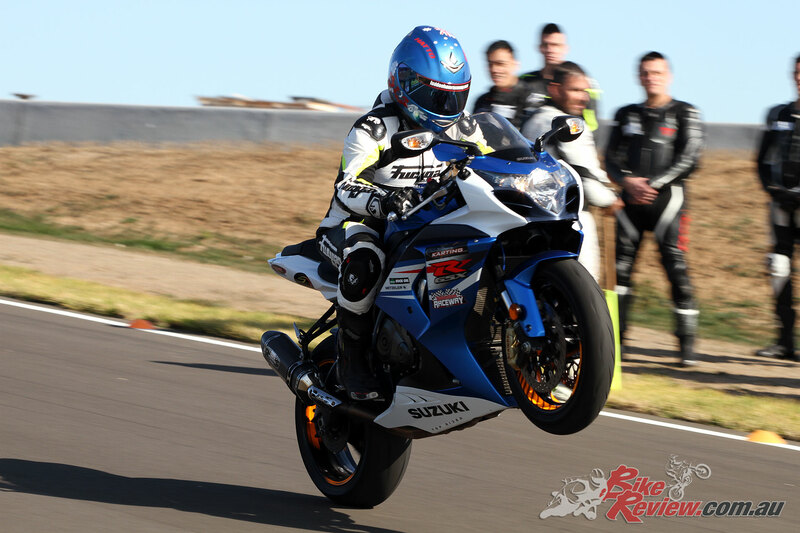 Bernie stressed the importance of braking, and that we should be feeling more than just our brake levers, instead diverting our attention to the feel of the bike, the stroke of the forks and grip of the wheels as we apply our brakes. Coupled with this, we were taught the correct body posture for braking, such as avoiding locking our elbows so as to retain greater control over the bike, and using your core muscles to support your upper body, while gripping the bike with your legs. 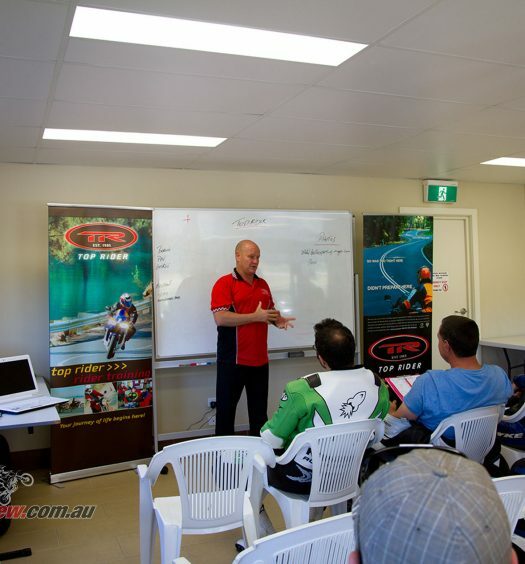 After a quick morning tea break, we had classroom training on throttle and gearing. 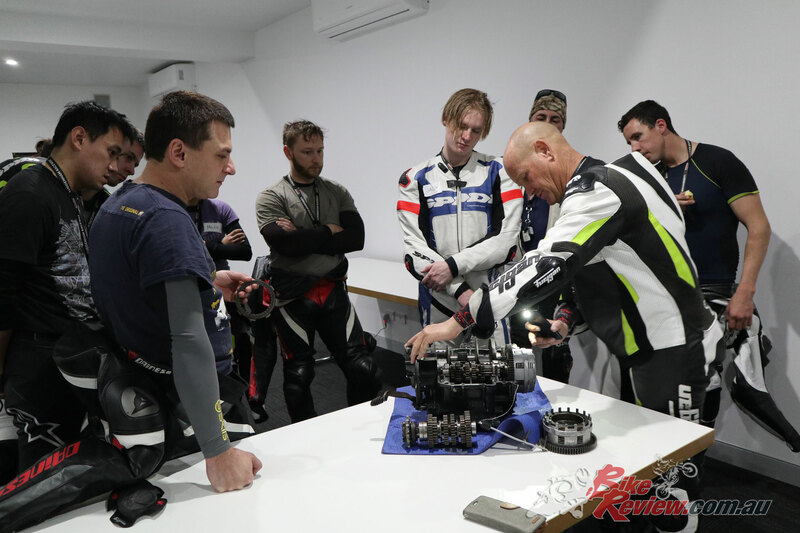 During the classroom session, we were given the opportunity to see a disassembled gearbox and clutch, which helped Bernie demonstrate the mechanics and allowed better understanding of the theory. The theory included looking at the interaction between closed and opened throttle on the gearbox and clutch, as well as how to best change gears, with and without the clutch. This session was followed by a throttle and gearing exercise around the track, where we were instructed to upshift and downshift while not using the clutch. This exercise taught us more about how to use the clutch effectively, and to minimise usage when it isn’t necessary. The final exercise was on cornering and cornering posture, another fundamental riding skill and one that translates into better confidence when applied correctly. 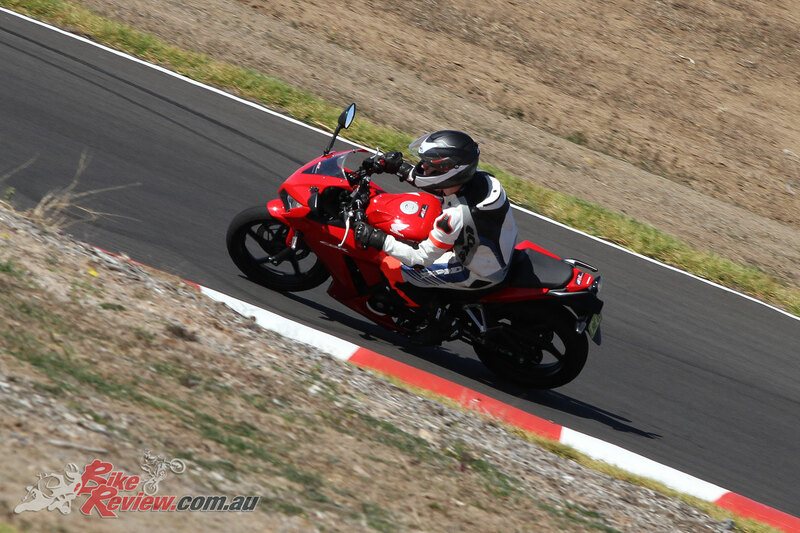 During the exercise, we were shown how you should properly plan for the corner, including braking before the corner, looking through the corner and getting off the seat to reduce the lean angle of the bike. Body posture was also vital for this exercise, as having stiff and locked arms reduces control of the bike and an incorrect seating position can unnecessarily increase the lean angle. During the day, you are given morning tea and lunch during the breaks, with food and drinks provided to keep you refreshed. That means there’s nothing to worry about except arriving with a full tank of fuel! There’s also gear available for rent for the day if you don’t have the appropriate riding gear for the track. The track itself, Luddenham Raceway, was a small track, however it features a variety of different corners, as well as a corkscrew, to offer some challenges, especially as you undertake exercises with specific riding requirements, such as limited use of gears or brakes. 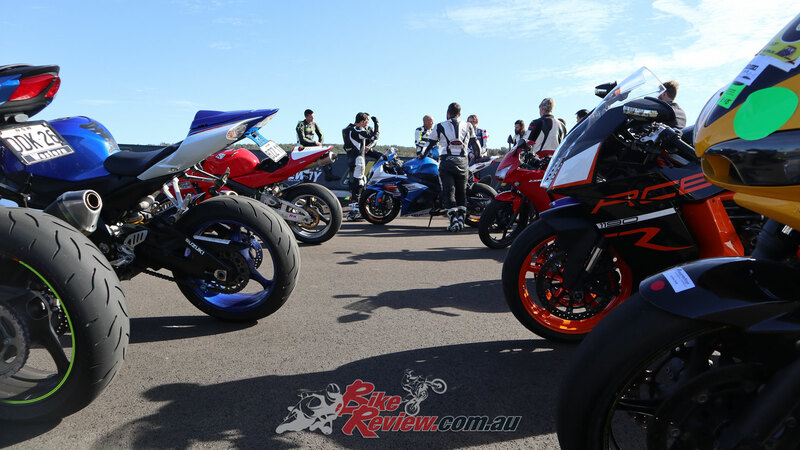 As someone who is new to the road scene, and only recently back from several years of not riding at the time of taking the course, listening to the feedback was vital. My own errors were pointed out to me in my riding, including having stiff arms, not looking through the corner, and not feeling the stroke of the forks during my braking. Without the feedback from the team, these are errors I would still likely be applying to my riding today. 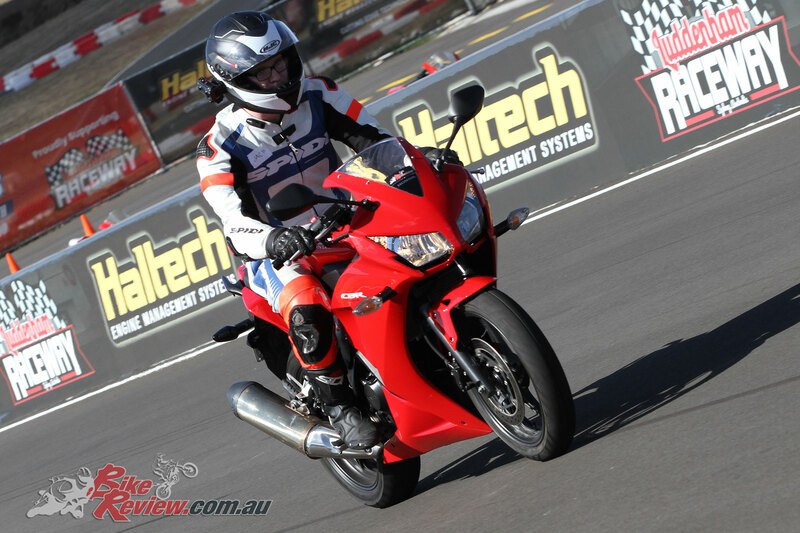 The course also once again sparked my love and passion for motorcycling and racing, and even though flat-track is completely different to road racing, the techniques taught during the course are what could really improve your track times, and to be a faster, safer rider in all situations. While this course (Level 1) is an advanced training course, the skills taught are applied to all riding and will make a huge difference. For example, cornering skills are extremely important on the road, where conditions are unpredictable and uncontrolled. Being able to set up for the corner properly, looking all the way through and being better able to identify hazards while having more room and ability to avoid the hazards are all benefits of the skills taught, and applied correctly over time should become automatic. I am also so grateful for mastering fundamental braking skills during the course, as I now have more confidence on the road to be able to utilise my brakes to their full capabilities should I need to use them in an emergency stop, or during a corner in the appropriate way. With your own practice, you will then hopefully further develop the skills taught during the course and incorporate them into your riding. 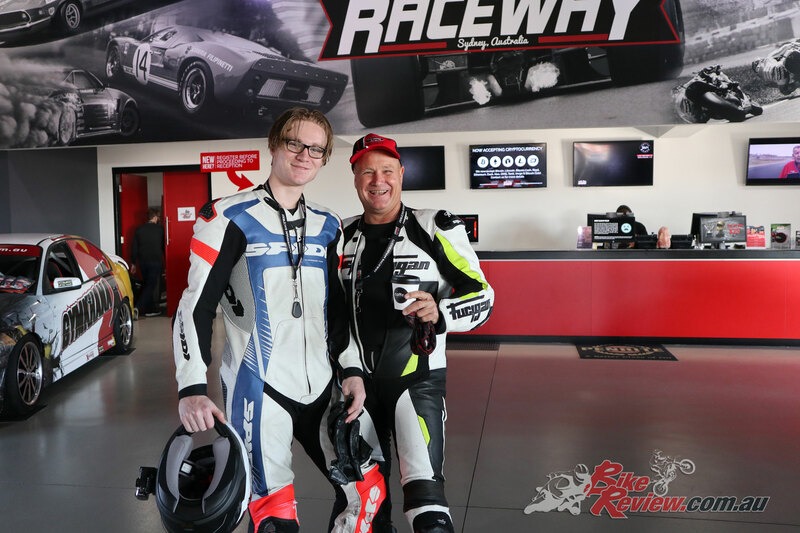 When I undertook the course, getting off the seat and getting my knee on the ground at the track seemed like something so distant. 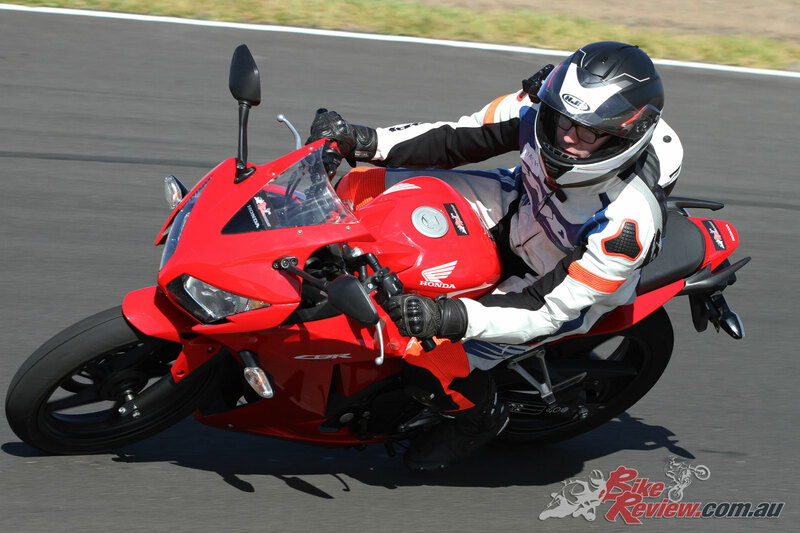 However, after just three months of riding, I managed to get off the seat and have my knee down at the track, where only a matter of months before, I had been learning how to ride a road bike. To say that I am thankful for undertaking this course would be an understatement. 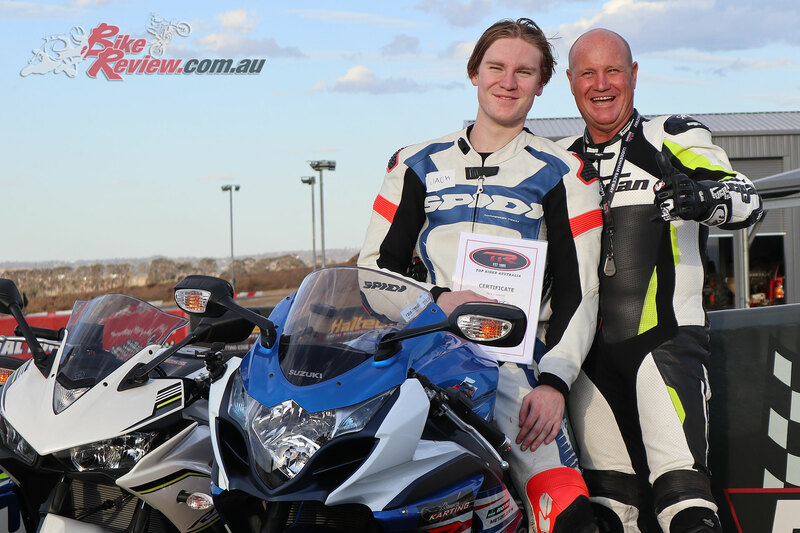 Not only has the content and feedback given during the course really helped me to be a better rider, but the value of the course is priceless. Bernie and his team try their hardest to accommodate any rider, regardless of skill level or ability, and give amazing feedback that really does help! They are there to help you, and the vibes that they give off make this course ten times greater. Not only are the team great, but the opportunity to develop riding skills and techniques in a secure, safe and controlled environment is honestly priceless. 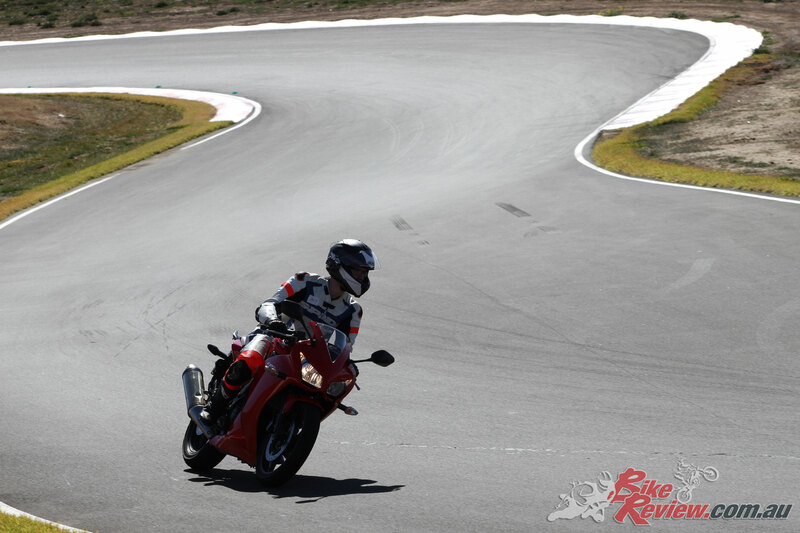 Practicing on the track is great for any rider, regardless of if you are interested in developing track day skills or just road riding skills. Any level of the top rider course will only cost you $495 on weekdays and $580 on weekends. It’s a great price to pay for the experience and skills that you will learn for a lifetime of riding. You can find out more about the course outline, sign up and a full price list at the Top Rider website. 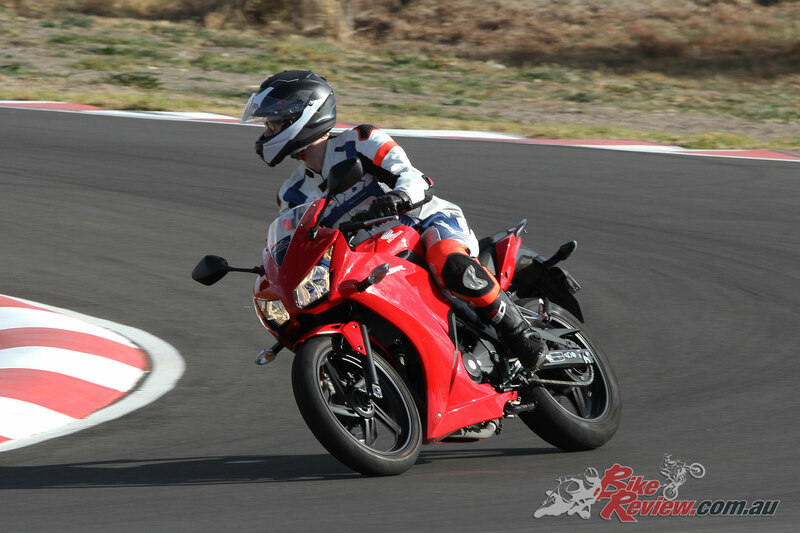 I hope to be back to complete all the Top Rider course and to further my riding skills. Hopefully one day in the near future, I can apply the skills and techniques learnt into road racing, and I’m sure it’s not too distant a dream. 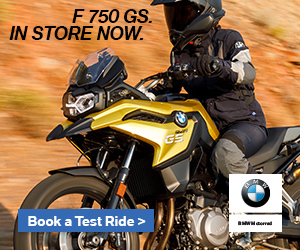 I seriously recommend this course for any motorcyclist who is either new to motorcycling, coming back to motorcycling, or for anyone interested in become a faster and safer rider. 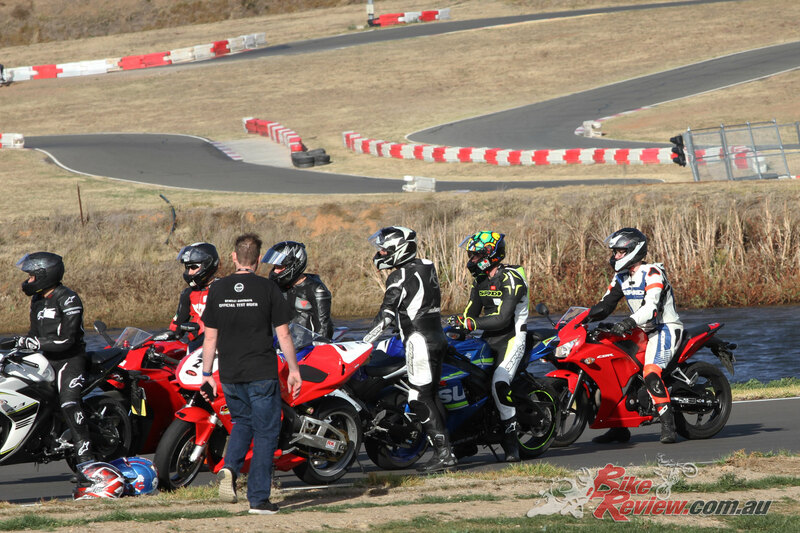 This course is suitable for a huge variety of riders and as you progress through the levels you’ll get further specialised training, right up to that aimed directly at track riders and road racers! The choice to undertake this course is simply not one you will regret. All done after a great day’s training with Top Rider! 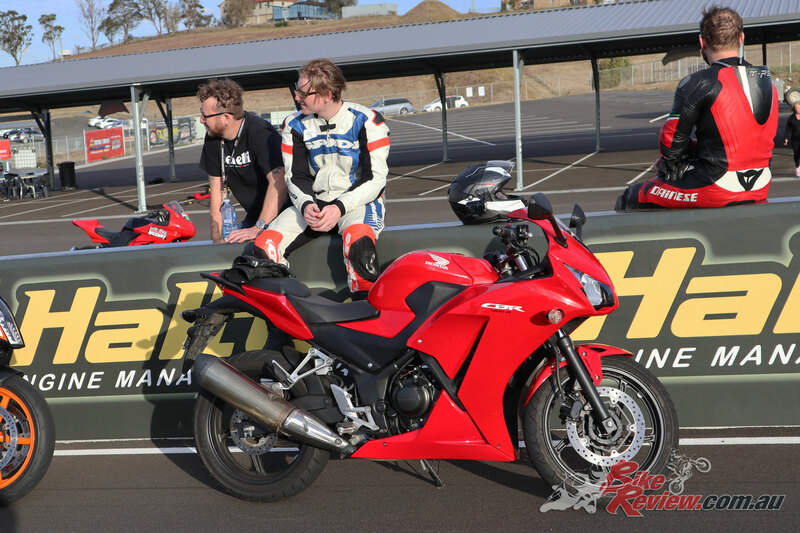 See the Top Rider Australia website for more information on the courses and locations available for training, as well as pricing details specific to each. Also remember if you’ve got a loved one who rides motorcycles, a Top Rider course could be an amazing gift heading into Christmas! Introduction, Bernie Hatton and Top Rider Australia!